Have you ever looked at something completely random and seemingly ordinary around your house and caught yourself thinking about whether or not you might be able to use your creative skills to transform it into something else? Well, if you ask us, this must be a symptom of having a creative mind, because we actually do that all the time! In fact, we even find our kids doing it every once in a while too. 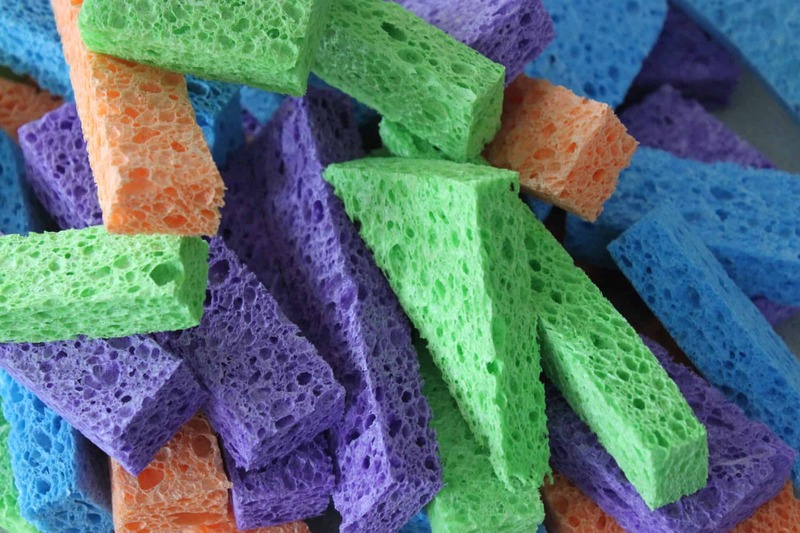 Recently, our oldest child looked at the sponge in our hand as we were cleaning the floor and asked us whether we had more of them that we weren’t using. When we said yes and dug the sponges out, our kids started making funny little doll chairs from pieces of cut up sponge. That’s how we found ourselves scouring the Internet in order to learn more about what else you can turn sponges into on a rainy crafternoon! 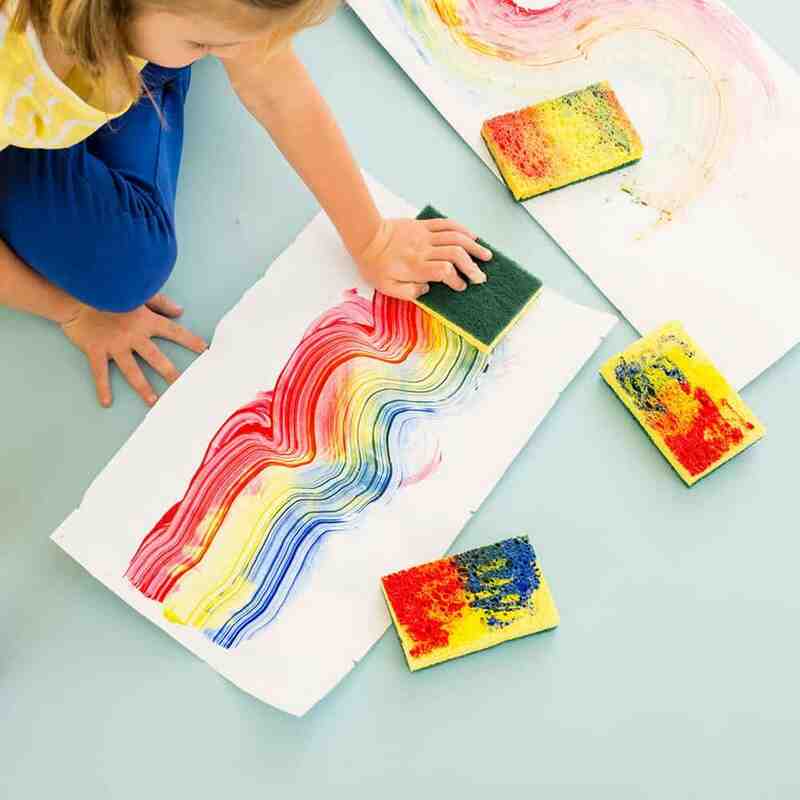 Just in case you’re as intrigued by the idea of getting creative and doing DIY projects with sponges as our kids were, if not more, here are 15 of the coolest and most unique ideas that we’ve come across in our search so far. If we’re being honest with you, this funny little seedling covered sponge house might actually be our favourite thing on this whole list, even though we’ve only just started showing you ideas. It was a huge hit in our house because not only did the kids get to have fun building a little house from differently shaped cut sponge pieces, but they also got to sprinkle the seeds and spend the next few weeks watching them grow! Check out how it’s built in more detail (as well as how it can be used as an awesome teaching tool) on DIY Cozy Home. Now, the fact that we included this particular tutorial featured and outlined on Design Sponge might seem a little confusing at first because they actually suggest adding a 3D effect to your embroidery by working the floss over and around cut pieces of rope. When we came across this idea, however, we didn’t have any thick string or rope but we loved the concept so much that we desperately wanted to try it on that snowy weekend, without having to go out in the cold and buy new supplies. That’s how we decided to get creative and embroider our pattern around thinly cut pieces of unused cleaning sponges instead! It worked just as well and we still followed their fantastic tutorial, just replacing every part that told us to use rope with a strip of repurpose sponge instead. Are your kids the kind of birthday enthusiasts who get just as excited as you do to start planning and decorating for their own birthdays and parties, as well as their siblings, friends, and other family members? Then we have a feeling you’ll have some eager helping hands when you show them how these awesome 3D cake topper letters are made. Creme de la Craft guides you step by step through the process of cutting your shapes from the sponge and covering them with a thick layer of actual sprinkles so they look celebratory enough to sit stop a birthday cake. We know that fall has finally come and that most people right now are starting to dig out their sweaters because the weather has begun cooling down outside but, where we live, it’s still as hot as ever, and we’re grateful for that! This means that we’ve been having a blast sending our kids out for some sprinkler time each evening after school while it’s still warm and light enough for them to enjoy the sunshine as much as possible. Recently, in the midst of their curiosity spree about sponges, we helped them make these sponge strip water bombs and now they get their homework done nice and quickly each afternoon so they can run outside and have water fights with these until the sun starts to go down. 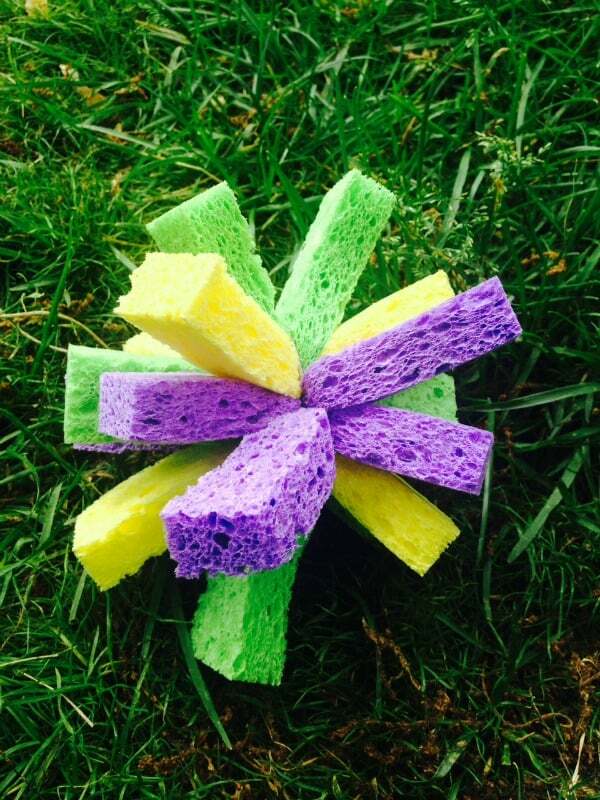 Get the full details for making water sponge bombs of your own on The Homespun Hydrangea. 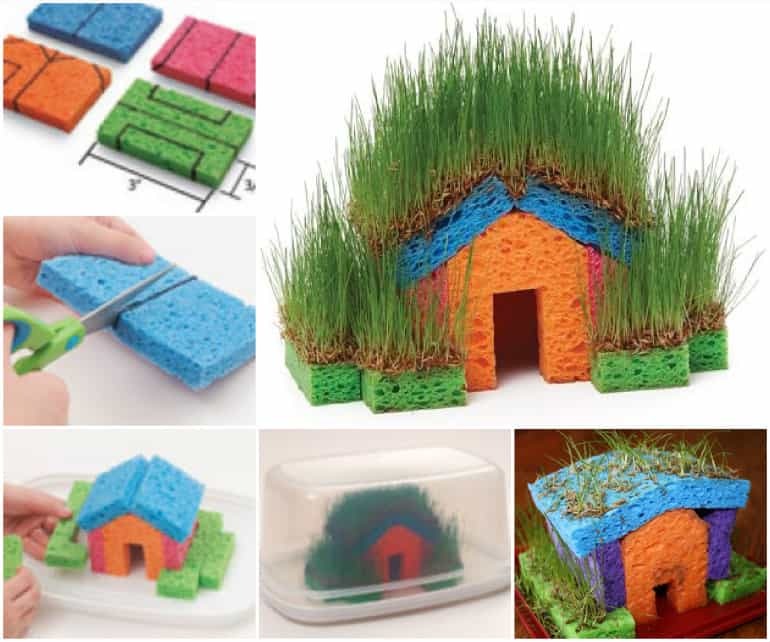 Were you actually very intrigued indeed by the idea of making a sponge and grass seed house because you liked that the project was simultaneously kind of both a craft and a bit of a science experiment, but you’re hoping to find even more ideas like that so you can bookmark different things and stockpile them until later? In that case, we’d definitely suggest taking a look at how Babble Dabble Do teaches you to make a grown crystallized landscape using cut up pieces of sponge and salt. Are your kids actually still very little indeed, so you’re looking for something very easy that they can help you with, but also perhaps something that will really hold their attention because the project results in a toy for them to continue playing with by the time you’re finished? In that case, we’d absolutely suggest taking a look at how Kiwi Co made these awesome geometrically shaped sponge building blocks in just a few extremely quick and simple steps. 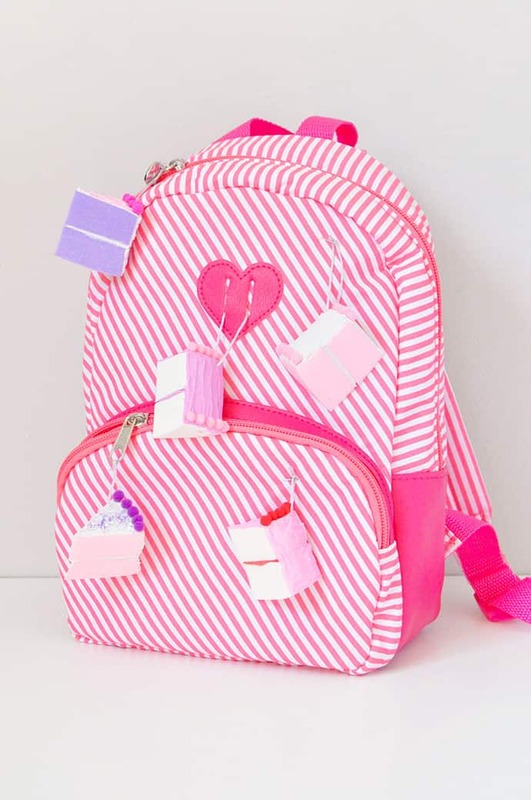 Rather than making some kind of toy that your kids can play with, would you rather help them make something practical that they might use in another way so you can start familiarizing them with the concept of upcycling? Then we’d definitely suggest taking a look at how DIY Pick made a simple combination soap dish and bath time scrubber out of a thick sponge just by cutting the middle out and popping the bar of soap right in! 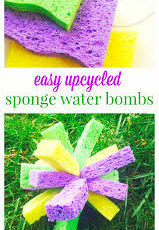 Perhaps you’re feeling a lot more interested in the idea of not just upcycling your sponges but rather actually transforming them, so you’d prefer to make some kind of art with the pieces? Well, we can’t say we blame you, because the idea of turning household things into something decorative sounds stunning, if you ask us. That’s why we were such big fans of this tutorial from Cards and School Projects that teaches you how to wind strips of sponge around themselves into a spiral until you’ve created little rosebuds that you can attach onto the end of crafted stems with leaves! If you’re going to put in the effort and time that it takes to upcycle and old sponge that isn’t being used anymore, perhaps you’d prefer to make some kind of useful tool that will actually help you keep crafting even more in the future? In that case, we’d definitely suggest taking a look at how The Flying Couponer turned chunks of their old sponges into differently shaped stamps that their kids created lovely stamped paintings with later. 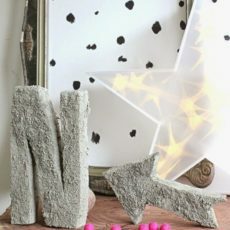 Have we really caught your attention with how fun the idea of doing some custom shaped sponge stamping is, but it’s actually you who wants to do it to create something decorative and fun to put in your front room? Then we’d definitely suggest taking a look at how DIY Projects for Teens created this adorable paint stamped throw pillow in the shape of a bright, cheerful pineapple! 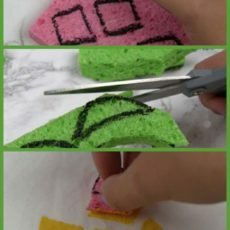 Their tutorial shows you in clear detail how to cut your sponges into the right shapes to make this project as simple as possible. 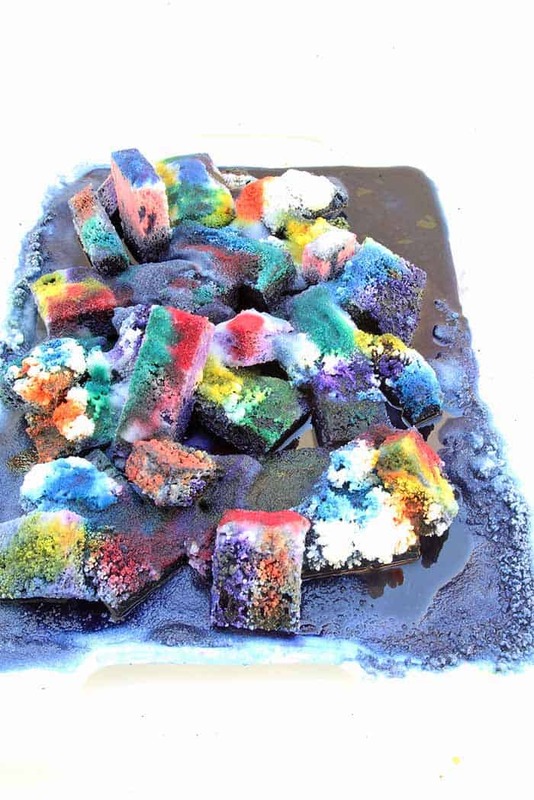 Maybe you’re not really concerned with the idea of really altering or transforming the sponges themselves, since your kids are quite small and really do prefer quick crafts (with bonus points if the idea is nice and messy), and you’re content so long as they get to do something creative? 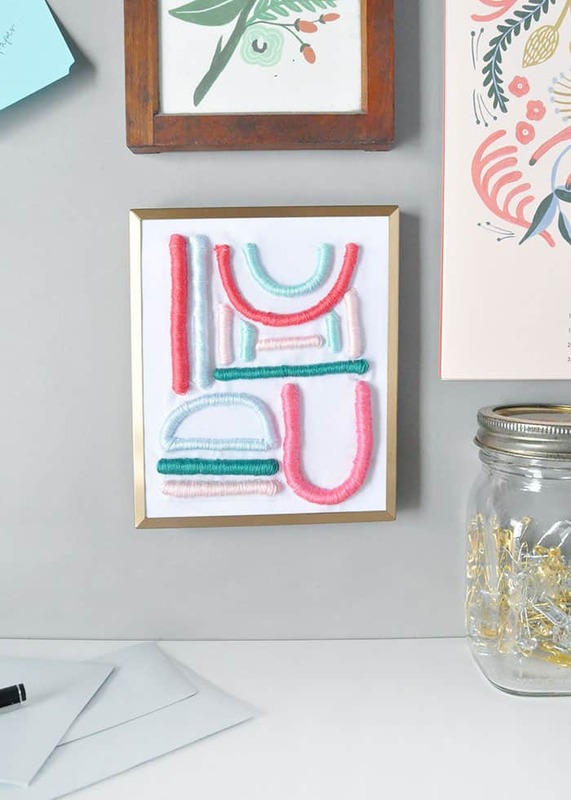 Then we definitely think you should take a look at how Brit + Co. made these fantastic rainbow sponge art with some paint and some strategic swiping. Would you rather be the one getting very creative and detailed in order to make your kids something you know they’ll adore playing with over and over again? 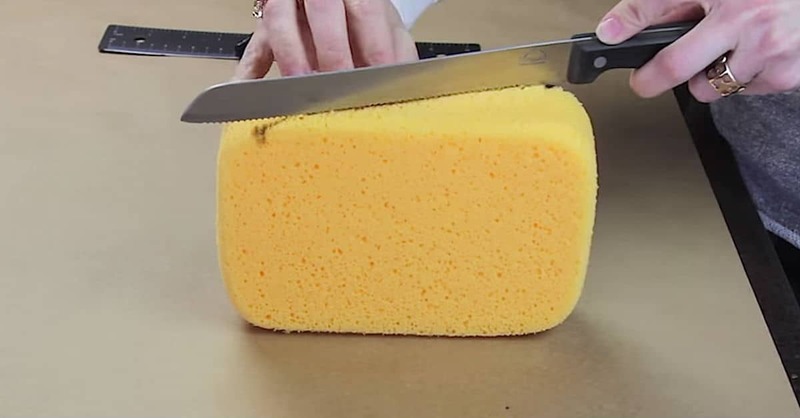 Well, that’s absolutely something you can do using sponges! 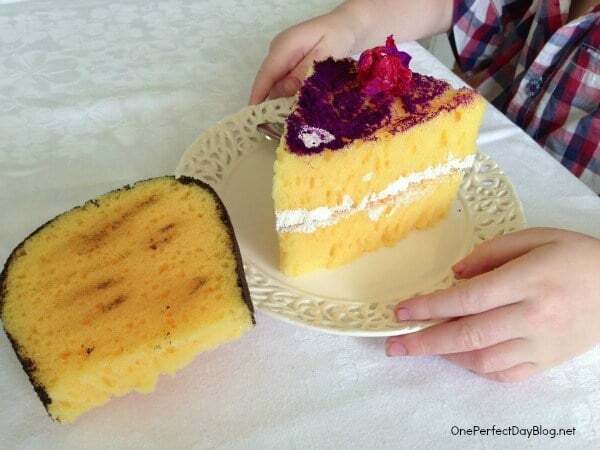 Special Learning House guides you step by step through the process of making awesome faux sponge cake using actual sponges and paint, but in a way that’s so impressive that the slices of cake look alarmingly real. Our kids have always adored play food, whether it’s homemade or store bought, so this idea was a huge hit in our household when we gave it a try! Are you quite intrigued indeed by the idea of making funny faux cake using sponges and paint but you’re actually not a parent of small children who would be interested in playing with fake food? Well, that doesn’t have to meant that you can’t try your hand at making the cool idea that caught your eye! Instead, we’d definitely suggest taking a look at how DIY Craft Project made faux cake as well, but in a miniature version that fit right on the cover of a greeting card, making an awesome gift for a friend or family member on their birthday. Perhaps we really caught your attention when we started talking about 3D sponge letters but the birthday sprinkles idea just wasn’t quite right for what you’re looking for? 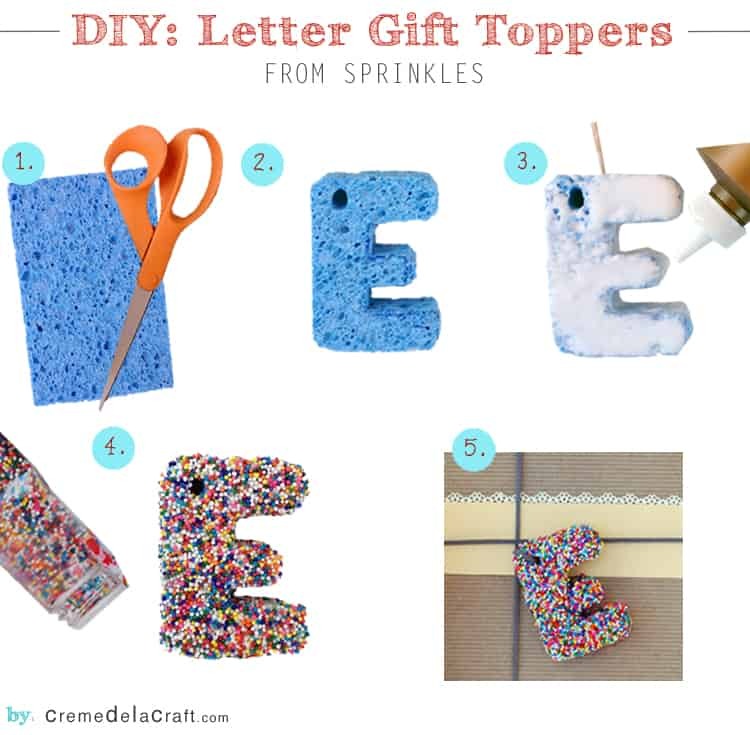 We can understand that; their tutorial outlined the steps for making letters that were quite small, and sprinkles don’t necessarily fit the average everyday decor aesthetic. That doesn’t mean, however, that you can’t make other types of decorative sponge lettering to put on display! 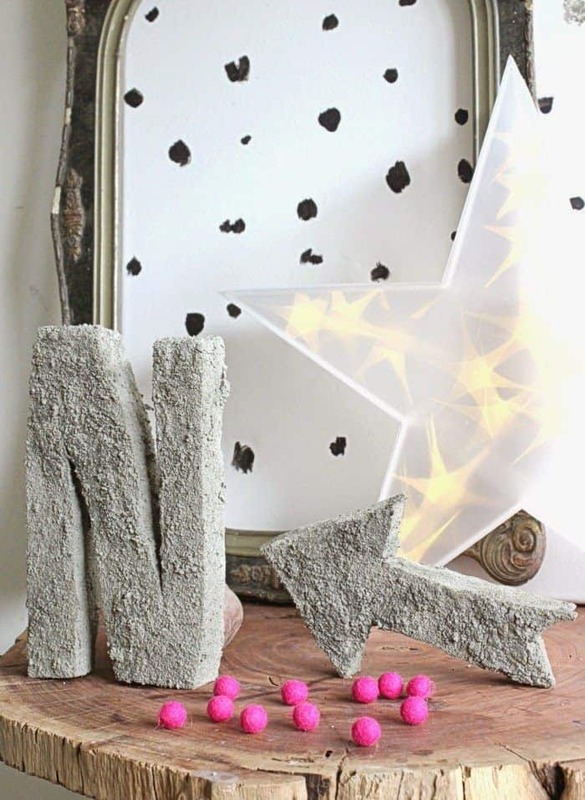 We love the way Hunted and Made cut bigger pieces and then soaked them in DIY cement to create monograms and shapes that look a little more industrial chic. 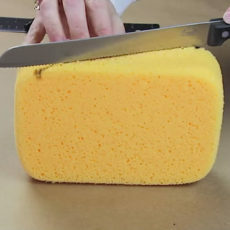 Are you actually still thinking about how much you adored the concept of making cake from sponges, in a sort of faux ironic twist given how much you actually enjoy real sponge cake, but neither of the tutorials we’ve shown you so far has really resulted in a project that’s quite for you? 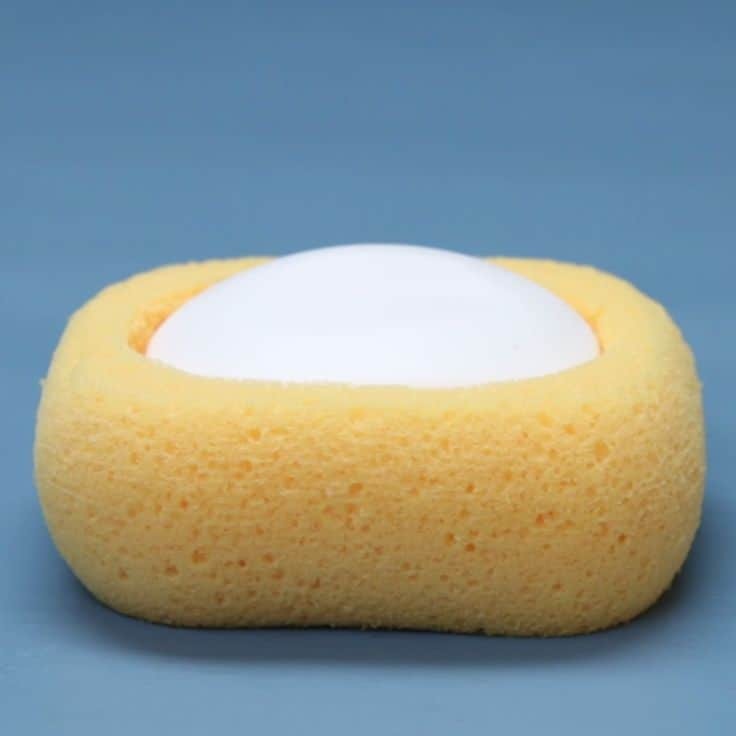 Well, if you’ve ever been a fan of eye catching, novelty keychains, then we think this tutorial for turning sponges into bright little cake slice keychains might be right up your alley! See how it’s done in more detail on Handmade Charlotte. 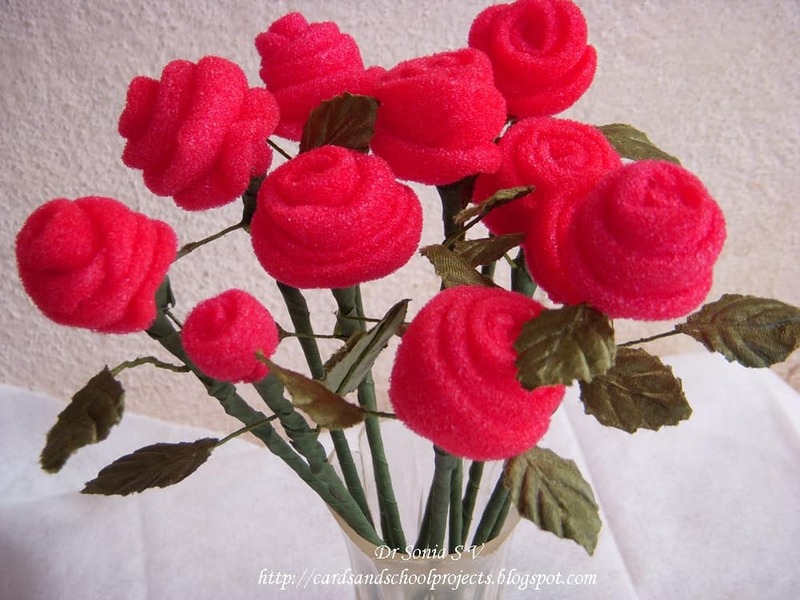 Have you made other kinds of super fun crafts from sponges that you very much enjoyed but that you don’t see here on our list? Tell us all about what you made and how you did it or link us to photos of your finished work in the comments section!